Great claves for studio and live applications! 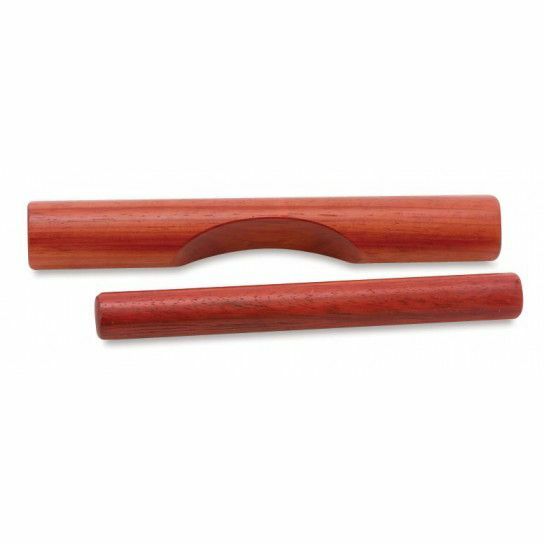 Made from hand selected Paduk wood, these claves projects warm and lively sound when struck together. One clave features a sound chamber that allows you to adjust the pitch when struck together. Long clave 9” and striker 7 3/8”.